It is a hard thing to find a great love. One that is always there for you. One that you can depend on when you have to walk through a lot of crap. Keeps you warm, and protects you from pebbles in life. This love of mine has been with me since I was a senior in high school. No, not my high school boyfriend, or any other guys that have walked through my life. But yet I, as a woman, I have a love for my shoes. And sadly today I have to say good-bye to my favorite pair. It takes a lot for me to buy a new pair, especially when I have had this pair for such a long time……Why should you care about the love of my shoes? Well, to begin you should care because this is the pair of shoes that I wear to most of my photo shoots. The pair that makes me feel like that crazy artist…part of my mojo and power as a creative. The pair I wore to figure drawing classes, the ones that I truck through the streets in Italy, and they are even the ones I walked with through the swamp areas to get a great portrait. A sadden day has come that I must find a new outlook on shoes. Should I look for a comfort shoe over my creative mojo? Or find that spectacular sole that makes the little kids actually like me, instead of crying in my face (which happens every time (reasons why I don’t have kids at this point in my life)). 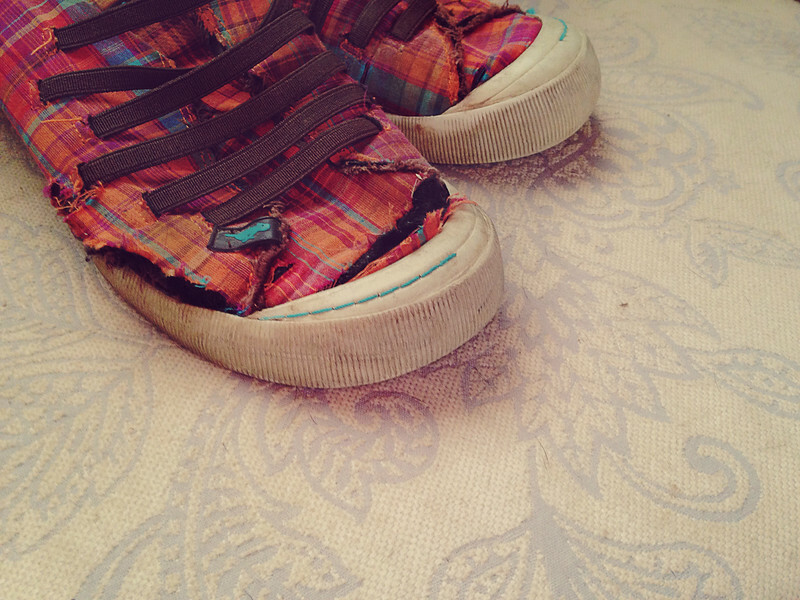 So now I open the door for others to share what shoes makes them bring out their mojo. Which shoes do you, as a person or a photographer, choose for comfort? My shoes have seen a lot. I now need to find another great love. RIP Rocket Dogs.